Looking for a roof cleaning contractor for your CT home or business? Whether your roof is covered in moss, algae or just looks aged, we can help. Our complete roof cleaning service removes algae, moss, streaks and stains to make your roof look new again. 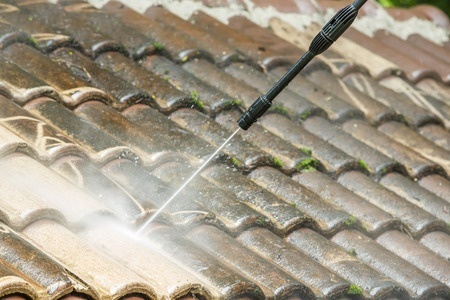 Is your roof covered in moss, algae or weather stains? We use professional equipment to give your roof a complete clean. We service homes and businesses throughout Fairfield county, including Greenwich, Darien, New Canaan, Ridgefield, Rowayton, Stamford, Fairfield, Westport, Weston, Easton, Wilton and Milford.